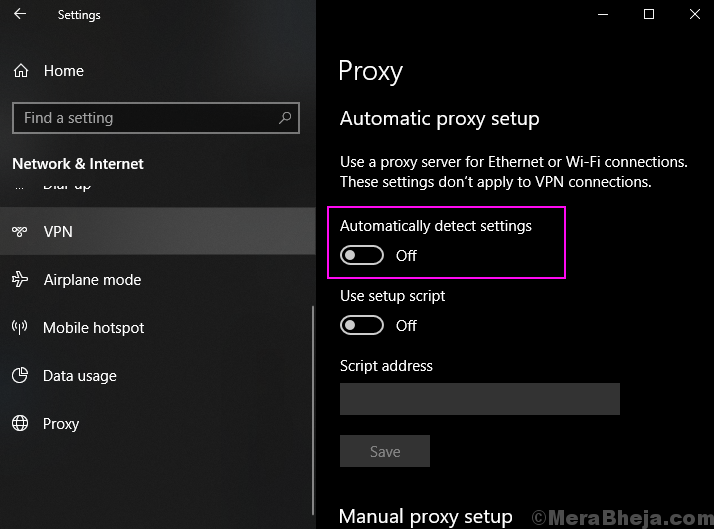 In the Network Troubleshooting user often get Windows could not automatically detect this network’s proxy settings error. Many users have reported this error and due to this error users are not able to use internet on their computer. Most probably this issue is happened because of improper network settings on your computer or any unwanted change in the network settings. Don’t worry this is a very small error and can be solved by easy methods. Follow these methods and you will not get that error again on your computer. Disabling proxy server is the most obvious thing to get rid of this error. For normal internet usage, a proxy server is not needed and you can still use the Internet normally after disabling the proxy server. Follow this method to disable proxy server. Step 1 – Open Run box by pressing Windows and R together. 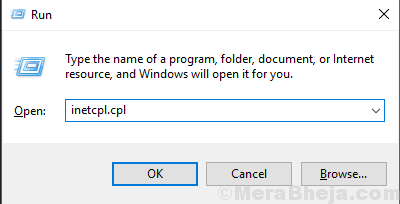 Type inetcpl.cpl in the text box and then click OK. 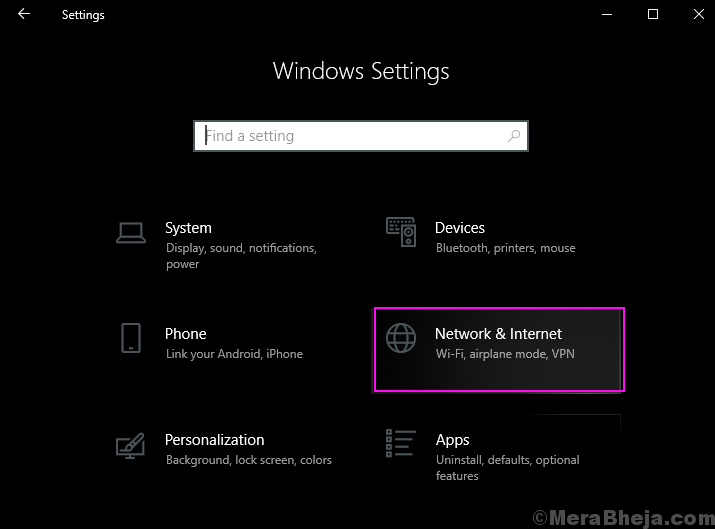 Step 2 – Switch to the Connections tab and click on LAN settings. 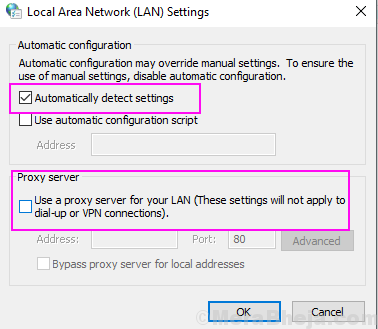 Step 3 – Uncheck on the Use a proxy server for your LAN option and check on automatically detect settings. Click Ok.
Once again run the Network Troubleshooter and check that error is gone or not. This will reset your network settings and once again start the connection as new. So, the error will be gone with resetting TCP/IP. 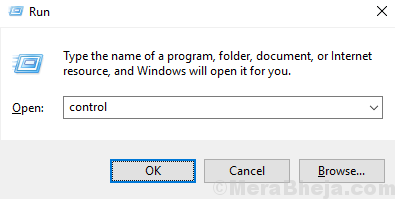 Step 2 – Click yes on the prompt. Step 3 – Type netsh winsock reset and press Enter. 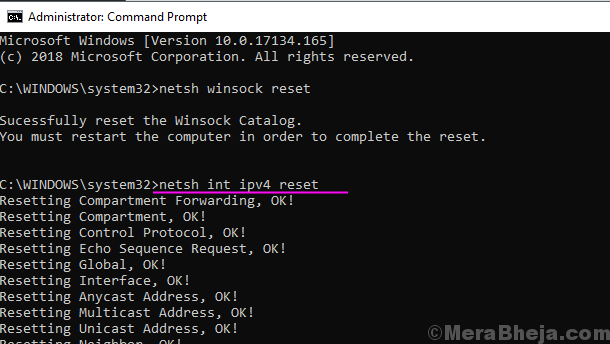 Step 4 – Type netsh int ipv4 reset and press Enter. 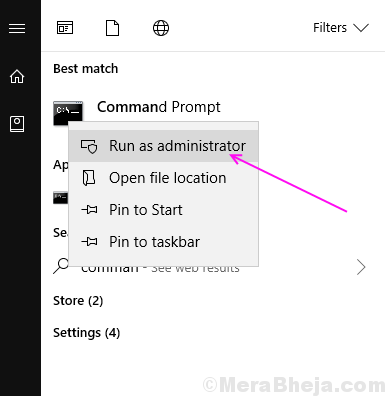 Close the Command Prompt window and run troubleshooter again to check the error. 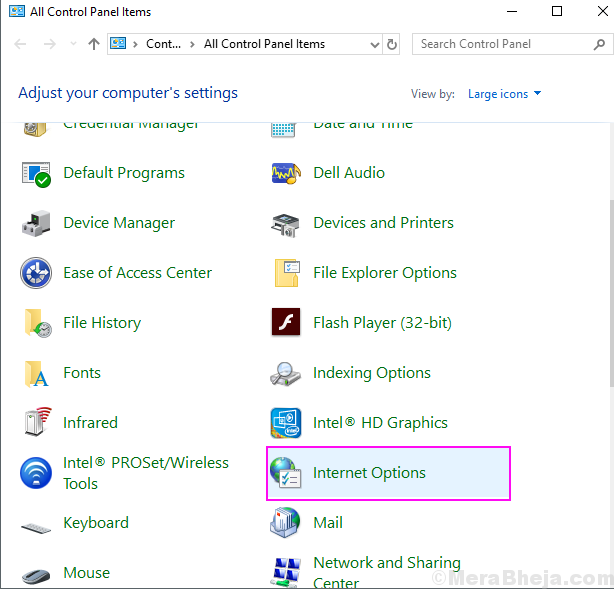 Resetting internet Settings from the Control Panel also can solve this error because resetting the internet settings will wipe all old settings and switch to the default settings. Step 1 – Open Run box by pressing Windows and R at the same time, type control in the text box and hit Enter. Step 2 – Click on Internet Options. 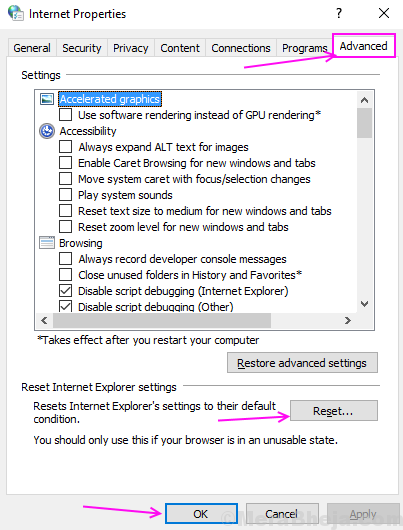 Step 3 – Switch to the Advanced Tab and click on the Reset button under the Reset Internet Explorer settings. This will reset all of your Internet Settings and make all the settings default. 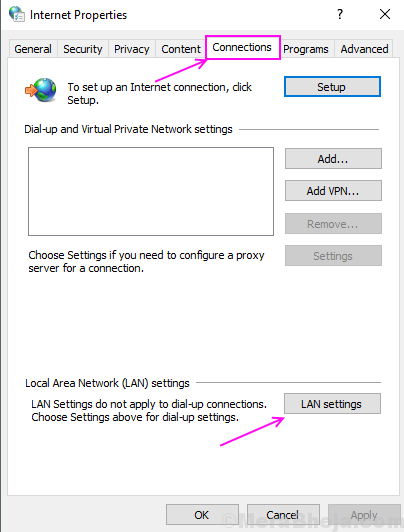 In the Network and Internet settings, there are proxy options in which you can turn off proxy detection. Turning off this option has solved this error for many users. Follow this process to know how. Step 1 – Press Windows and I keys at the same time to open the Settings window. Step 2 – Select Network and Internet. I hope that you are able to solve your error with these methods. If you have any query regarding these methods then feel free to tell us in comments.